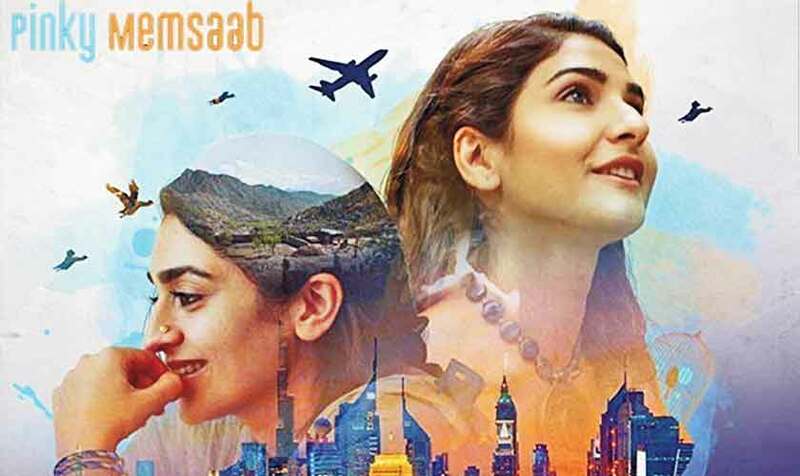 Hajra Yamin-starrer Pinky Memsaab, which released in Pakistan and Dubai last year in December 2018, has had multiple screenings at various international festivals. One of the film’s protagonists, Hajra Yamin, who has been nominated in the Best Actress category at the Lux Style Awards 2019 for her role in Pinky Memsaab, was there to represent her film at the UKAFF. Pinky Memsaab has another feather in its cap as the film is now available on the streaming site, Netflix. Based in Dubai, the film highlights the intersecting lives of two women from two different worlds. The film is about self-discovery, for Pinky (essayed by Hajra Yamin) – a young woman from a small village in Punjab who travels to Dubai to work as a maid and Mehr (Kiran Malik) – a Dubai-based writer and socialite. The film also shows how four individuals struggle to find true happiness amidst work and relationships. Apart from the main characters, Pinky Memsaab features Khalid Ahmed, Shamim Hilaly and Hajra Khan in important roles. Though the film generated rave reviews, it had a short run at the local cinemas which led to low box-office numbers. However, with Pinky Memsaab now available on the streaming site, it would definitely have a wider reach. Jada Pinkett Smith turns out to be Abida Parveen, Rahat Fateh Ali Khan fan! Michael Phelps and wife Nicole welcome second baby!